Welcome back! It’s time for the third chakra in my series, the Solar Plexus Chakra. You can catch up on the Root Chakra and Sacral Chakra if you missed those. And if you like the series, come back tomorrow for the Heart Chakra. You’ll love it! 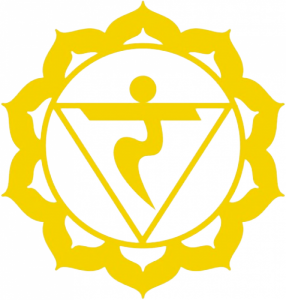 Manipura, The Solar Plexus Chakra (commonly referred to as simply the Third Chakra), is the center of your personal power. Situated between the navel and the base of the sternum, this is the home of will and lifeforce. Imbalances in this chakra will have you feeling weak, anxious, self-conscious and insecure, or vain, rigid, controlling and arrogant.  The goal is to be confident in yourself while respecting others, being flexible yet assertive, and to feel a healthy sense of control over your future. There’s a reason you get butterflies in your stomach when you’re about to do something you haven’t experienced before. Your confidence, your literal guts, are bound to the Third Chakra. Sources disagree on the mantra of the Third Chakra. Your choices are “I will” “I can” and “I do.” The first two lack the fire, discipline and action that this chakra deserves. You will, but maybe later. You can, but you don’t feel like it. Forget that nonsense. Your sense of self is built on what you do, not what you think you could do someday. Affirmations for the Solar Plexus are powerful, positive, and dynamic. To reach in and explore your Third Chakra, take some time to answer these questions. It can be beneficial to share these answers with a close friend. Think of it as an act of confidence. Explain the difference between responsibility and blame. Are you able to say NO when it’s the right answer? What is the purpose of a debate? Can both sides win? How do you prepare for the unexpected? Why do you think people defend their opinions so strongly? If you had a personal assistant for a week, what tasks would you assign them? Describe the moments immediately before, during and after your proudest achievement. 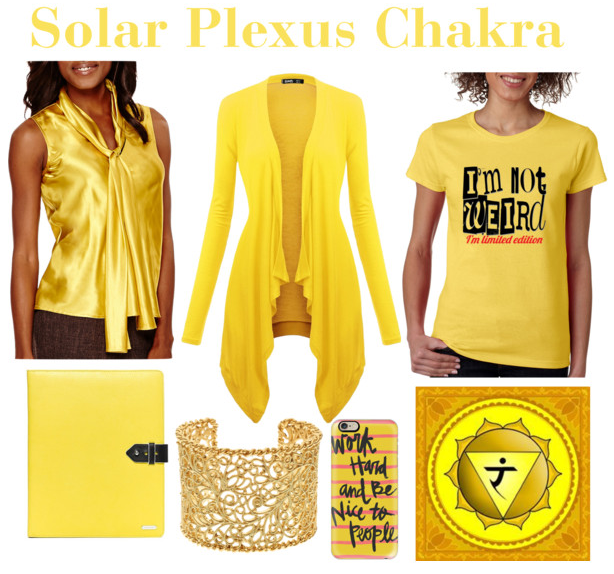 Solar Plexus chakra is tied to the stomach, gall bladder, spleen and pancreas. 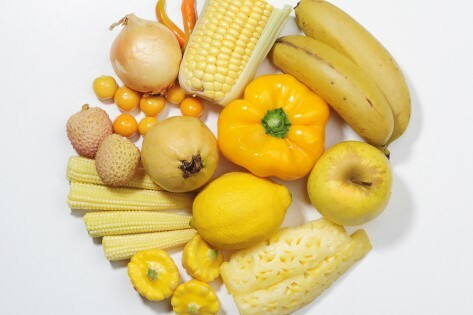 For healthy digestion, you need complex carbohydrates and enzymes found in yellow foods. Avoid simple sugars, alcohol, artificial sweeteners and white starchy foods. As always, keep clean of processed and fried foods. Instead, enjoy whole grains, pineapples, corn, squash, beans, peppers, poultry, cheese, honey, mustard, ginger and turmeric. Ginger is especially soothing for the stomach, and all of these things will provide vital fuel for all the strenuous Solar Plexus activities. Solar Plexus Chakra stones are the brightest yellows, and most radient golds. My Solar Plexus Chakra collection contains things that will help you work hard and feel powerful. These were meant to be suitable for the workplace while commanding attention (and the t-shirt was just a fun way to say “Hey, I’m awesome!”). Carry your planner or your phone with you to tackle your to-do list, and actually see the progress toward your goals.